In the Great State of Texas, we have several claims to fame which we hold dear. 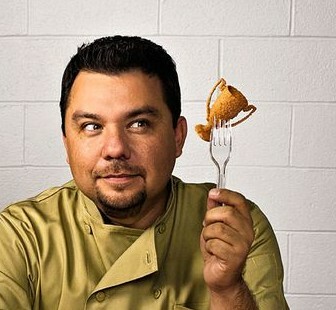 Texan Abel Gonzales, the reigning Fry King of the Universe, makes us Texans proud. Brother Darren photographed our deep-fryin’ deity for Texas Monthly. Read more here. 7 Sep Filed under Brother Darren Braun, Editorials, Food + Drink, Texas Monthly. Bookmark the permalink.